KINGSTON – At the height of fiery debate over whether the jailhouse recordings of incarcerated murder convicts, including dancehall artiste Vybz Kartel, should make it to the airwaves, the Jamaica government has announced a crackdown to keep a tight lid on what is entering and leaving the island’s correctional facilities. 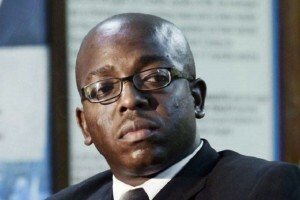 Describing the existing penal system as “dysfunctional”, State Minister for National Security Pearnel Charles Jr. suggested the changes were urgent and necessary given the high number of repeated violations, including the smuggling of mobile phones and other contraband into the prisons. Four correctional officers are currently before the law courts on charges related to questionable dealings with inmates, while others have been removed for alleged unprofessional conduct. Measures announced to deal with the situation include the installation of X-ray scanning machines at the Tower Street and St Catherine adult correctional centres and the Horizon Adult Remand Centre, the polygraphing of all recruits and correctional officers, and expanded CCTV coverage across the correctional system. Charles justified the tough measures by saying that every effort must be made to eliminate corruption and criminality and to hold persons accountable for breaches, as well as deficiencies in management. “We have to respect the public’s concerns, protect our citizens and secure the reputation of the honest, hard-working correctional officers in the system,” he added. Weighing in on the debate over the suggested ban on new music emerging from the country’s jails, Charles said the Department of Correctional Services views music as an integral tool of rehabilitation. There has been raging debate on the issue since former government minister Lisa Hanna called for discussion around whether music from felons, like Kartel, should be banned from local radio stations. Hanna, the opposition People’s National Party’s spokesperson on youth and culture, came under severe criticism and there were death threats made against her on social media. Minister Charles stressed that the ministry encourages authorized and structured participation in rehabilitation programmes.